Her day starts out simple enough: get up, go to the office, browse the web, load up the truck and head out for a drive. 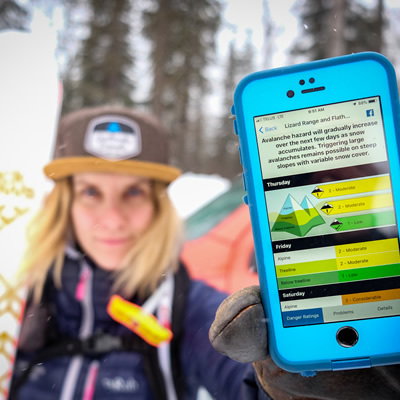 From there, it gets exceptional: look for avalanches via snowmobile or skis, report snowstorms and—don’t forget to bring the dog—possibly locate and save someone from disaster. 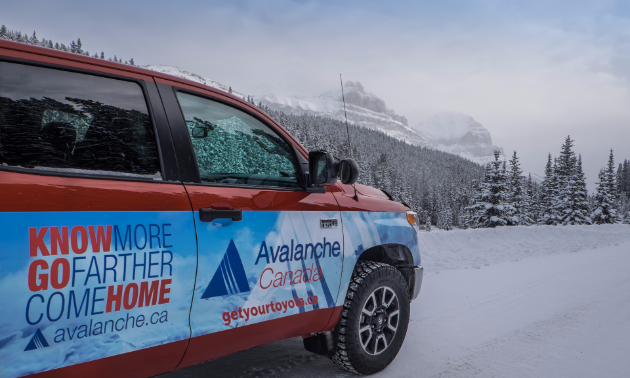 Coulter gathers information from and contributes to Avalanche Canada’s Mountain Weather Forecast for weather updates as well as the Mountain Information Network for avalanche conditions local riders have been experiencing in the area. 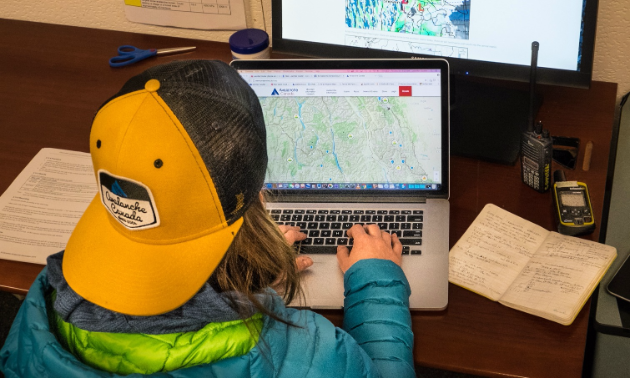 The weather, snowpack and avalanche occurrence data Coulter collects end up reflected in the Public Avalanche Bulletin for the South Rockies and the Lizard Range/Flathead forecast regions. Coulter isn’t alone when patrolling the backcountry—she is assisted by her dog, Pika, a Belgian Malinois. Pika is a working dog that is certified in avalanche and wilderness search profiles. 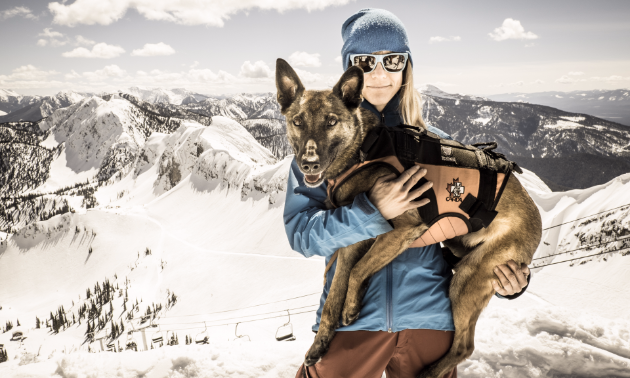 Together, Coulter and Pika are members of Fernie Search and Rescue, the Canadian Avalanche Rescue Dog Association (CARDA) and the British Columbia Search Dog Association (BCSDA), and the duo also works part time with the Fernie Alpine Resort Ski Patrol. If and when there is an avalanche in the backcountry, they get tasked by search and rescue (SAR) or the RCMP to respond. 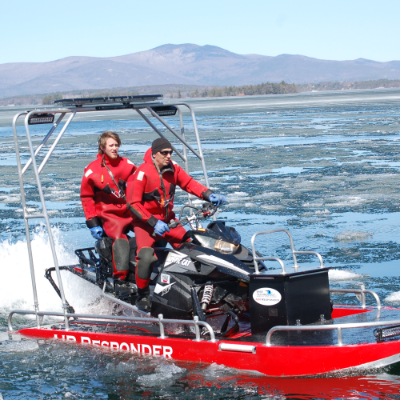 “She (Pika) is with me most places I go or at least kennelled in my truck nearby so that if I get a SAR callout, we will be ready to respond in a timely fashion as every second counts,” Coulter said. As someone who heads into hazardous territory on a regular basis, Coulter is an expert on how to equip oneself for maximum survivability. “You’ve got to get the gear,” she said. “You and all your friends need to have a three-antenna digital avalanche transceiver, a shovel and a probe every time you go out. An avalanche airbag is a good idea too but doesn’t replace the need for any of the aforementioned gear. 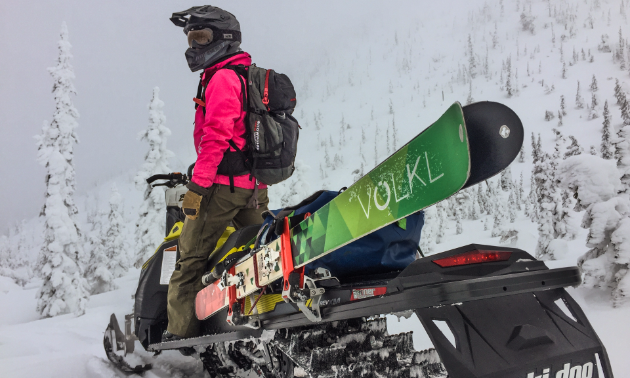 Coulter didn’t have an engine powering her skis when she began her avalanche adventure; she got her start at Fernie Alpine Resort as a professional ski patroller and avalanche dog handler. 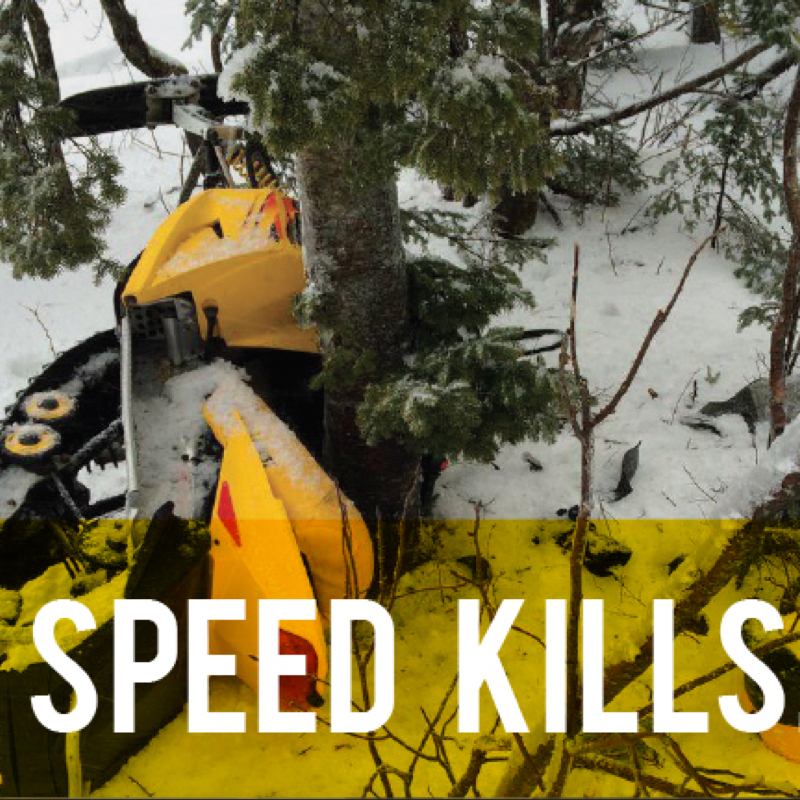 A couple of the key differences Coulter has noticed between skiers and snowmobilers is how they use terrain and communicate with one another. “When I am travelling uphill from the parking lot to my goal in the alpine as a skier, I am doing so at a slower pace,” she said. “It is easier for me to notice the changes in the snow, weather and terrain at that speed, and to have conversations about what I am seeing with other members of my party. This continual information gathering helps me to make informed decisions and change my objectives according to the conditions. 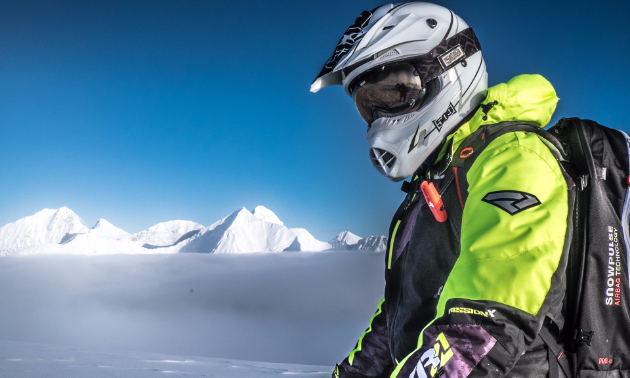 To combat the extra challenges in communicating with a group of snowmobilers as opposed to skiers, Coulter insists on a “helmets off, engines off” conversation at decision points and when entering avalanche terrain to make sure everyone is on the same page about how they are going to approach the terrain, go/no-go decisions and what the plan will be if things go wrong. 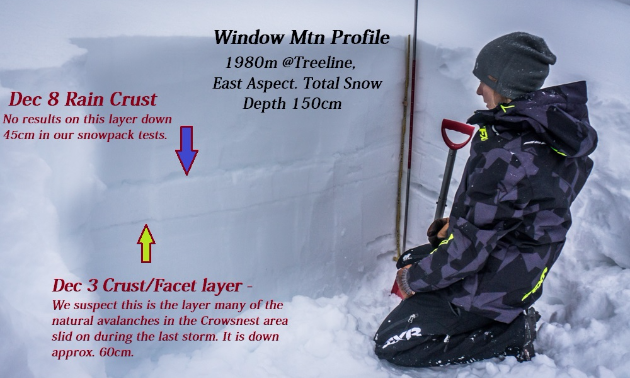 You can keep up with Avalanche Canada’s South Rockies Field Team on Facebook and Instagram.